The Government of Canada released its Budget 2019 on Tuesday, outlining their plans for spending in the coming year. 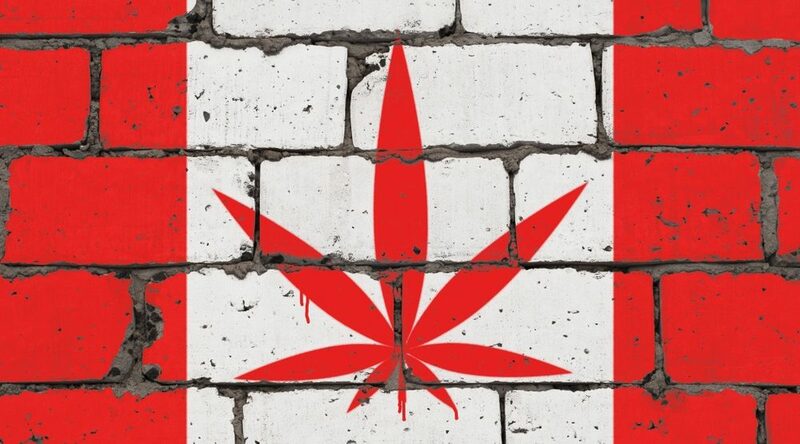 While this year’s version offered incentives to first-time homebuyers, relaxed interest rates for student loans, and other new investment/spending programs, a series of updates were issued for the regime that controls cannabis taxation. October 17, 2019, is the current date that new cannabis products like concentrates and edibles will be added to the list of approved items in the Cannabis Act. As such, the government has come up with its method to tax the new products. The new model would focus on taxing the intoxicant in cannabis rather than just the mere quantity of flower. 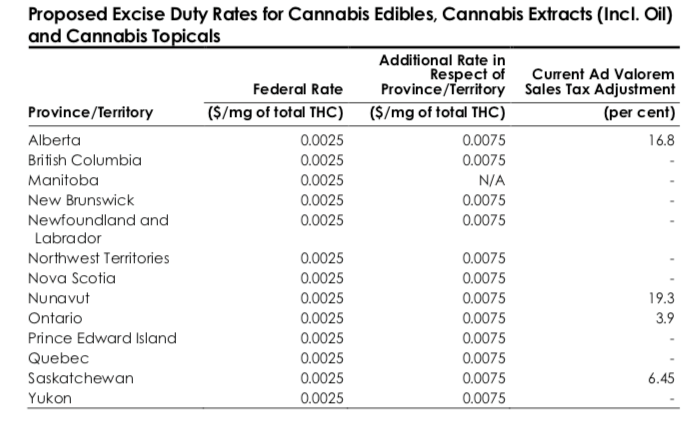 “Budget 2019 proposes that edible cannabis, cannabis extracts (including cannabis oils) and cannabis topicals be subject to excise duties imposed on cannabis licensees at a flat rate applied on the quantity of total tetrahydrocannabinol (THC),” the budget reads. The current rates for cannabis flower, seeds and seedlings, will be unaffected by the coming change. The goal, according to the budget, is to make cannabis taxation a simpler process for licenced producers. “The proposed THC-based rate would alleviate compliance issues that producers have encountered with respect to the tracking of the quantity of cannabis material contained in cannabis oils, and would allow producers and administrators to more easily calculate and verify excise duties for cannabis edibles, extracts and topicals,” it says. The government currently uses a flat rate applied to the quantity of cannabis contained in a final product and a “percentage of the dutiable amount of the product as sold by the producer” — this is called an ad valorem rate. 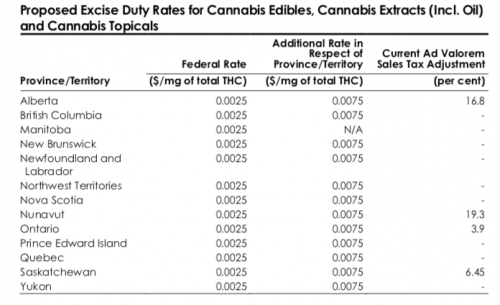 Currently, existing excise tax exemptions will apply to cannabis flower with extremely low amounts of THC, as well as THC pharmaceutical cannabis products obtained through a prescription that have a Drug Identification Number. Through the Coordinated Cannabis Taxation Agreements (CCTAs) the feds can take 25% of taxes generated from cannabis sales, up to $100 million. The provinces and territories keep the remaining 75%, with any additional revenue that goes over the $100 million mark also redistributed at the provincial level. The proposed changes will come into effect on May 1, 2019, according to the budget.